Forward Stride enhances quality of life through horse-centered activities and therapies. For more than 15 years, using the healing power of horses, Forward Stride has been building lasting relationships, confidence, and new skills. 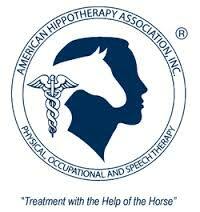 Our programs work together to provide exceptional care, therapy, and support to all participants, human and equine. Everyone has challenges in life. We encourage each person to face them head on with the support of our herd and fellow humans. Along the way, emotional, cognitive, and physical milestones are reached and lifelong friendships are forged. 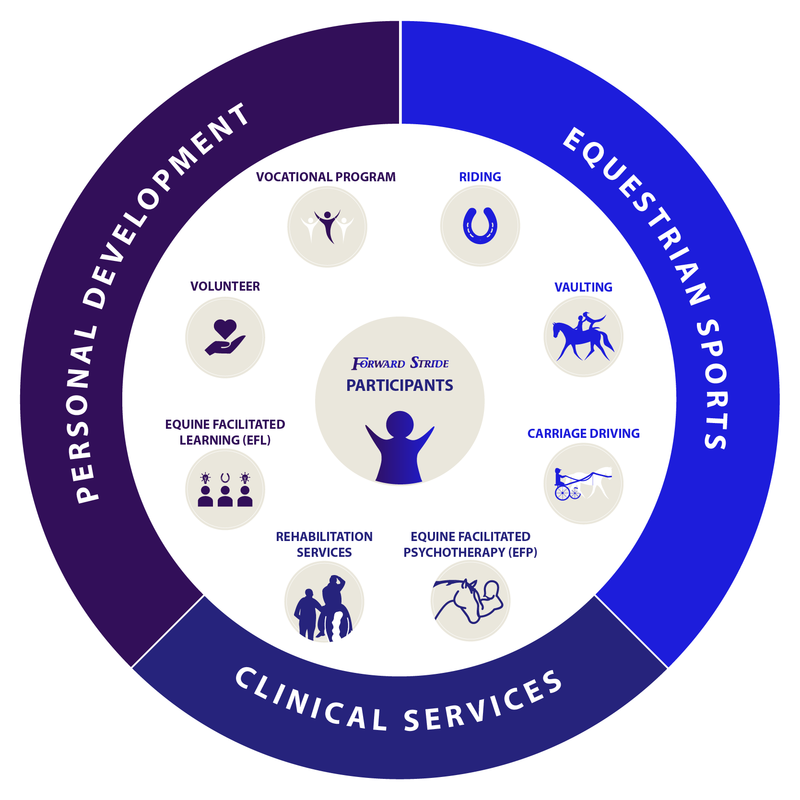 Click any of the icons below to learn more or register for Equestrian Sports, Clinical Services, and Personal Development programs. 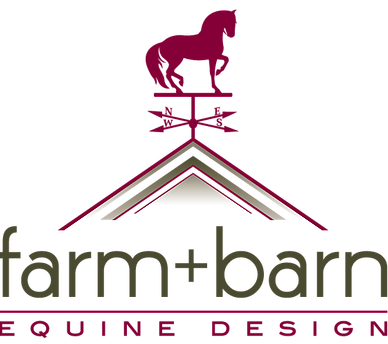 Offering children and adults of all abilities opportunities to develop horsemanship skills, fitness, communication, social skills and self-confidence. Offering Competitive Vaulting and Interactive Vaulting coming soon. Vaulting is proven to promote strength, balance, flexibility, team bonding, and self-confidence. Offers children and adults sessions with licensed physical, occupation, speech and language health therapists who specialize in using equine movement as a treatment tool in integrated treatment plans. Offering individual and group therapy sessions for personal growth and treatment for those with mental disorders and/or looking to improve relationships with self and others. 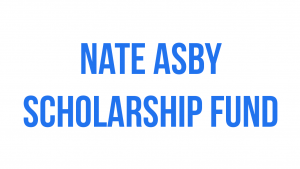 Providing vocational training for individuals ages 18 and older with the goal of demonstrating the skills to obtain meaningful and regular employment in the community. An experiential learning approach that promotes the development of life skills for educational, professional, and personal goals through equine-assisted activities. Results from the Giddyup Gala!